Farmers markets have become increasingly popular as more shoppers are interested in purchasing fresh, local food and connecting directly with farmers who grow the food. 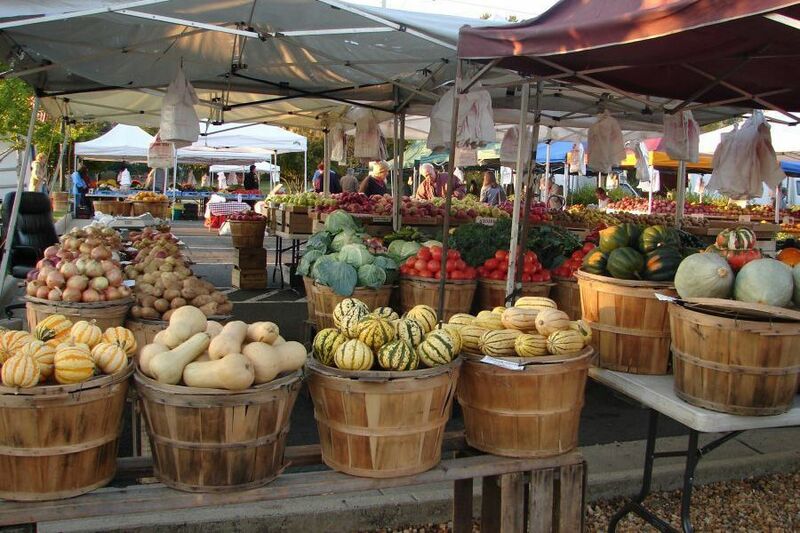 Here is a list of many farmers' markets in the Northern Virginia suburbs of Washington, DC. Find a wide selection of fresh produce and numerous other products at large and small farmers markets, some open seasonally and some open all year round. Corner of East Oxford & Mount Vernon Ave.
Saturdays, 8 a.m. - Noon. Sundays, 8:30 a.m. - 1 p.m. Crystal Drive between 18th and 20th Sts. Wednesdays, 2:30 p.m. -6 p.m.
Summer - Great Falls Village Centre, 778 Walker Rd. 8400 Westpark & Greensboro Dr.
Thursday, Harris Pavilion, 9201 Center Street, 8 a.m.-1 p.m.
Saturday, Commuter car park, 9024 Prince William Street, 8 a.m.-1 p.m.
April-First weekend in December, 8 a.m. - 1 p.m.
Second weekend in December-Mid-April, 10 a.m.-1 p.m.